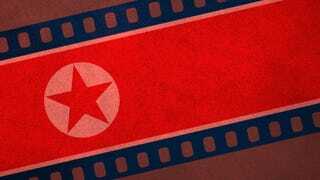 In a predictably bizarre move, officials in Pyongyang are now proposing that North Korea and the United States work together on a joint investigation into the Sony Pictures hack. The country says it can prove that they didn't do it. North Korea also warned of the gravest consequences if the U.S. does not agree to the inquiry. Wait, what? North Korea wants to work with the United States on something? Are we pals now? No, we're not pals now. But North Korea's proposal isn't as crazy as it might sound. Despite the FBI's recent announcement to the contrary, North Korea maintains that they didn't carry out the attack. Now the country admits that they can't prove that they weren't behind the attack without U.S. involvement. So another way of putting this: North Korea wants the U.S. to work with the North Korean government to prove they didn't commit Sony Hack. "As the United States is spreading groundless allegations and slandering us, we propose a joint investigation with it into this incident," North Korea's foreign ministry said according to KCNA state television. "Without resorting to such tortures as were used by the CIA, we have means to prove that this incident has nothing to do with us." Who knows if that's true. Many cyber security experts maintain that there's not much good evidence that North Korea committed the attack. Although, North Korea surely isn't upset that Sony pulled The Interview, a movie about assassinating Kim Jong-Un starring Seth Rogen and James Franco. The hackers sound like they're backing down, too. We are confident the North Korean government is responsible for this destructive attack… If the North Korean government wants to help, they can admit their culpability and compensate Sony for the damages this attack caused.